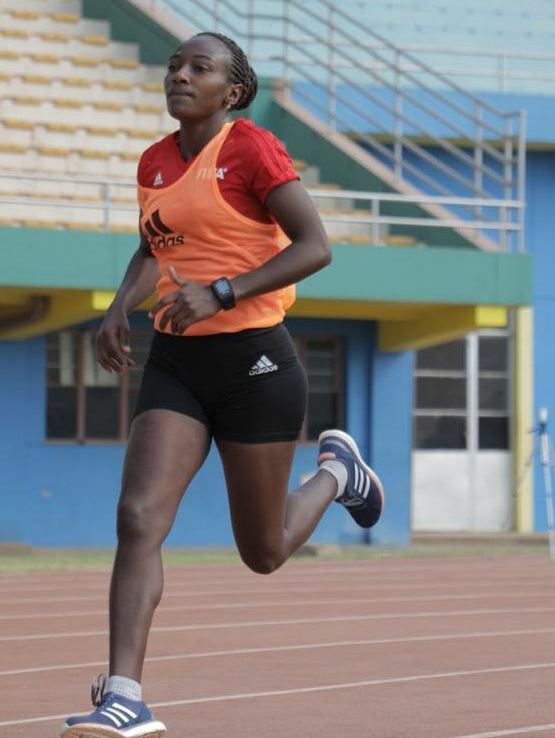 Rwandan Salma Rhadia Mukansanga has been listed among the list of referees that will officiate at the 2019 FIFA Women’s World Cup which will be staged between June 7 and July 7, 2019 in France. The country’s top woman FIFA/CAF referee is among the 27 appointed 22 referees and support referees and 48 assistant referees representing 56 different countries for the FIFA Women’s World Cup 2019. Between now and 6 June, the selected group of match officials will participate in two seminars expected next early next year at which the identities of the referees and the support referees will be decided. The appointment of Mukansanga comes following her excellent performances at the FIFA U-17 Women’s World Cup which climaxed recently in Uruguay. During the FIFA U-17 Women’s World Cup, Mukansanga oversaw two group stage matches namely Group A match between Uruguay and New Zealand, Group B match between Japan and Mexico, one quarter-final match between Canada and Germany and the she was the fourth official during the 3rd place match of the tournament which saw New Zealand defeat Canada 2-1 to take the bronze medal. The 28-year old referee began her refereeing career in 2007 before becoming an international referee in 2012. Since then, she has officiated at major tournaments, including Africa U-17 and U-20 finals as well as senior World Cup preliminary games, 2015 All African Games, and the 2015 CECAFA women challenge that took place in Jinja, Uganda. This year’s U-17 Women’s World Cup will be the 6th edition since its inception in 2008. North Korea who are defending champions, will be dethroned as they didn’t make it to the last four after being knocked out by Spain 3-1 in the quarter final round on November 24, 2018. CONCACAF: Beaudoin Marie-Soleil (Canada), Borjas Melissa (Hungary), Chenard Carol Anne (Canada), Koroleva Ekaterina (USA) and Venegas Lucila (Mexico). UEFA: Adamkova Jana (Czech Republic), Braz Sandra (Portugal), Frappart Stephanie (France), Hussein Riem (Germany), Kulcsar Katalin (Hungary), Monzul Kateryna (Ukraine), Pustovoytova Anastasia (Russia), Staubli Esther (Swiss) and Steinhaus Bibiana (Germany). AFC: Bozono Makoto (Japan), Cui Yongmei (China), Fang Yan (China), Hagio Malko (Japan), Hong Kum Nyo (North Korea), Kim Kyoung Min (South Korea), Lee Seul Gi (South Korea) and Teshirogi Naomi (Japan). CONCACAF: Boudreau Chantal (Canada), Brown Princess (Jamaica), Caudillo Enedina (Mexico), Chavez Mayte (Mexico), Mariscal Felisha (USA), Nesbitt Kathryn (USA), Perello Shirley (Honduras) and Yee Sing Stephanie (Jamaica). CAF: Kwimbira Bernadettar (Malawi), Njoroge Mary (Kenya), Rakotozafinoro Lidwine (Madagascar) and Victoire Queency (Mauritius). CONMEBOL: Amboya Monica (Ecuador), Back Neuza (Brazil), Blanco Mary (Colombia), De Almeida Mariana (Argentina), Mascarana Luciana (Uurguay), Sacilotti Tatiane (Brazil), Toloza Loreto (Chile) and Vasquez Lesile (Chile). UEFA: Ardasheva Oleksandra (Ukraine), Cockburn Kylie (Scotland), Iugulescu Petruta (Romania), Kourompylia Chrysoula (Greece), Kung Susanne (Swiss), Kurochkina Ekaterina (Russia), Magnusson Julia (Sweden), Massey Sian (England), Nicolosi Manuela (France), O’neill Michelle (Ireland), Rafalski Katrin (Germany), Rashid Lisa (England), Ratajova Lucie (Czech Republic), Rodak Sanja (Croatia), Striletska Maryna (Ukraine), Sukenikova Maria (Slovakia) and Tepusa Mihaela (Romania).